Enhance your travel with a memorable Mississippi Bed & Breakfast lodging experience that’s like staying with friends who cater to your every need. Environmentally lush and culturally legendary as the Birthplace of American Music with its rich history, exciting nightlife, relaxing beaches and diverse population, Mississippi is like nowhere else in the United States. The lore of Southern Hospitality is legendary and Bed and Breakfast Association of Mississippi (BBAM) member inns aim to please. With their unique homes, welcoming porches and gardens, friendly faces, relaxing accommodations and access to endless activities, our bed and breakfast options are an ideal lodging alternative no matter your destination or itinerary. Follow the Natchez Trace and take in all the historical sites; follow the Gold Record Road through the Americana Music Triangle and enjoy home to nine of the world’s legacy music genre, explore our MS Blues Trail and enjoy famous blues locations; join our friends in Tunica, the Coast or many other MS cities for a day or two of gaming. Adventure tourism travelers may revel in unique southern experiences such as hiking, boating, fishing, hunting, and tours highlighting photography & appreciation of regional nature and ecology, varied cultures, history, architecture, antiques and unusual historical treasures and delight to our unique southern cuisine and stories. 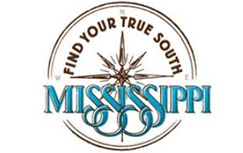 It’s all right here in Mississippi, where welcoming innkeepers offer relaxing days and restful nights to help you get the most out of your vacation in The South. with a unique “man-on-the-street” style of accessibility. Give a Gift Certificate good for use at over 50 member Bed & Breakfasts located through MS. Any amount may be given to your friends, family, associates or employees for birthdays, anniversaries, holidays or fund raising charities.